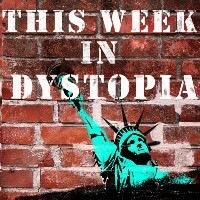 A podcast about the promise and perils of democracy, hosted by Christopher Robichaud, Harvard Kennedy School Senior Lecturer. Attempting a MA in Sociology in Internet and Society at NUIMaynooth. Always Searching — User Experience Designer, NYC. The Berkman Klein Center for Internet & Society at Harvard University was founded to explore cyberspace, share in its study, and help pioneer its development. I talk to people about interesting things on @PolicyCast.